Some politicians, townspeople and ZF workers in Friedrichshafen are puzzled about why the supplier needs to change. Pictured is ZF's headquarters. FRANKFURT -- The departure of ZF Friedrichshafen CEO Stefan Sommer shows that politics and entrepreneurism rarely are a good match. Sommer turned ZF into the world's second-largest supplier with the $12.4 billion acquisition of TRW Automotive, but his global expansion ambitions clashed with the parochial outlook of the trust that runs the company. Sommer and Andreas Brand, mayor of ZF's home town of Friedrichshafen, Germany, and chairman of the city-run Zeppelin Foundation that holds 93.8 percent of ZF, have been at odds for months. The source of contention was Sommer's acquisition spree aimed at reducing the supplier's dependence on combustion-engine cars and building up its expertise in components for autonomous and electric vehicles. Earlier this year, ZF took a 40 percent stake in German lidar maker Ibeo Automotive. To gain missing expertise for autonomous trucks, ZF made an unsuccessful $515 million bid for Swedish brake systems group Haldex and sought to take over commercial vehicle parts supplier Wabco Holdings. Brand blocked the Wabco bid, which he regarded as "reckless," press reports said. ZF's growing debt worried Brand, who demanded that the supplier pump more cash into the city's coffers. In 2016, the foundation received 156 million euros in dividends from the supplier, according to Manager Magazin. A plan to list the supplier on the stock market was the final straw for Brand. Sommer, who was named a 2015 Automotive News Europe Eurostar, was annoyed by the political interference and went on the offensive. He needed the "freedom to do what is necessary," he told the Schwaebische Zeitung and the shareholder structure should not restrict the company's future development. 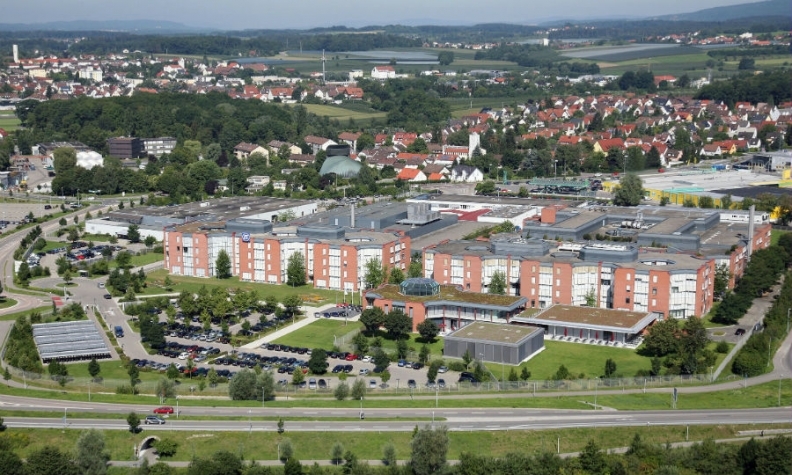 "The moment in which, for example, local political considerations from Friedrichshafen determine the corporate strategy, it will become critical," he told the newspaper. Sommer's expansion strategy puzzled local people. There were signs last month that Sommer was losing the power struggle when ZF Supervisory Board Chairman Giorgio Behr, Sommer's most powerful ally, stepped down on Nov. 29 to be replaced a week later by former Audi and Bentley CEO Franz-Joseph Paefgen. Founded in 1915 as Zahnradfabrik (German for Gear Factory) to produce gears for Zeppelin airships, ZF is a well-established supplier of steering mechanisms, axles, gears and transmissions. One focus is eight- and nine-speed transmissions. Sommer sought to turn ZF into a company that could produce an entire vehicle chassis with the latest advanced safety features and autonomous driving technology. However, some politicians, townspeople and ZF workers in Friedrichshafen, a small town next to the popular tourist attraction of Lake Constance, were puzzled about why the supplier needed to change. Some workers struggled to understand why transmissions for low-cost commercial vehicles in China cannot still be built in their high-wage town and exported halfway around the world. Illustrating the common thinking, one source at the company said sometimes you have to explain that a bus "is not a transport receptacle for a ZF transmission." When ZF marked its centenary, local employees didn't want other ZF sites around the globe to celebrate "because only Friedrichshafen turned 100." After Sommer's departure was announced on Thursday, a ZF engineer told the local newspaper: "I'm not sure if Stefan Sommer really was the right person because he had a global corporation in mind. In Friedrichshafen, the clocks tick differently." That way of thinking has led many to assume Sommer's departure indicates ZF will back away from its ambitious autonomous technology plans. "This assumption is wrong," a ZF spokesman said in an email to Automotive News Europe. 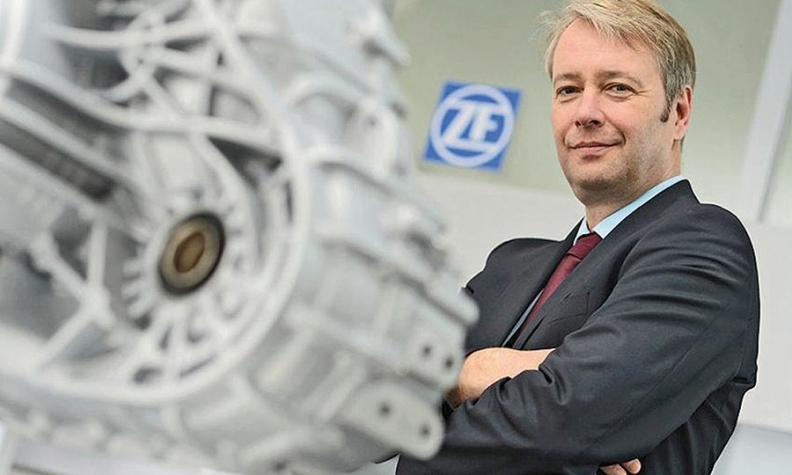 "ZF will stay true to its strategy." ZF will use next month's CES in Las Vegas and the Detroit auto show to demonstrate how far the company has come with its latest technology. "ZF will continue to transform itself so as to drive the mobility megatrends forward," the spokesman said. Sommer's departure, however, leaves a big question mark on how ZF will be able to maintain this momentum and whether the change at the top will let rivals gain an advantage.